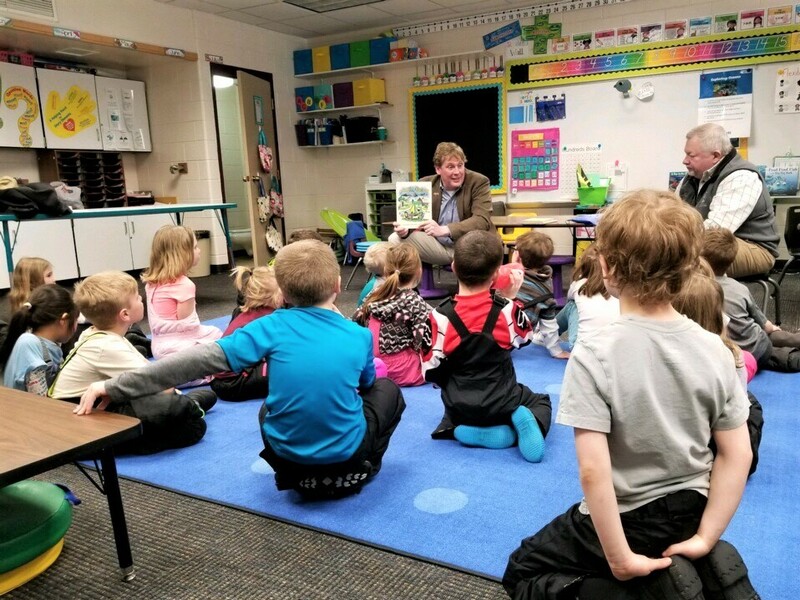 LANSING, Mich. — State Sen. Ed McBroom and Rep. Greg Markkanen read “Johnny Tractor and His Pals” to students at three schools in Houghton County on Friday as part of National Reading Month. The legislators read to students at South Range Elementary School in South Range, Houghton Elementary School in Houghton, and T.R. Davis Elementary School in Dollar Bay. Editor’s note: The above photograph is available by clicking on the image or by visiting https://www.SenatorEdMcBroom.com/photos/. Photo caption: Sen. Ed McBroom, R-Vulcan, and Rep. Greg Markkanen, R-Hancock, read “Johnny Tractor and His Pals” to students at Houghton Elementary School in Houghton on Friday as part of National Reading Month. The legislators also read to students at South Range Elementary School in South Range and T.R. Davis Elementary School in Dollar Bay.